Earth’s mightiest heroes have joined forces once more for an explosive final round, and we’re as here for it as any self-respecting Avengers fan can be. 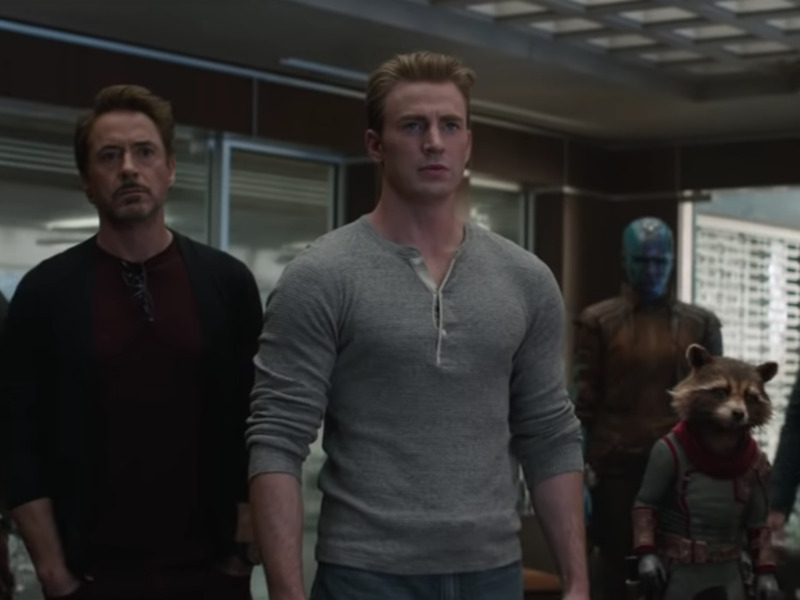 Marvel dropped another surprise Avengers: Endgame teaser on Tuesday (April 2), with a whole new round of new footage that hopefully isn’t a bunch of footage strewn together to purposefully mislead and confuse us (we’re side-eyeing you right now, trailer editors). This time around, the heroes left from the end of Avengers: Infinity War assemble, as Avengers are wont to do, to figure out where to go from here in an attempt to avenge the fallen, as the movie’a latest trailers attest. This emotional clip gives us a hefty dose of feels, with a hug from Tony (Robert Downey Jr.) to Pepper (Gwyneth Paltrow) and a hearty handshake between Tony and Steve (Chris Evans) near the end of the clip. The sense of foreboding throughout the clip is palpable, because we know some of our favorite heroes may not make it back this time after tussling with Thanos – remember what happened with a simple snap of his fingers? But that doesn’t stop us from remaining hopeful, watching the heroes we’ve been following for some time mounting some sort of defense against evil to protect their friends, family, and the world they love. Hopefully there’s time for another full trailer after this brief clip to drop ahead of the movie’s debut, because we’d love to know a bit more about what to expect so we can be as emotionally prepared for the fallout as possible. Avengers: Endgame is dropping into theaters on April 26, which means there’s less than a month to go until we can finally parse what’s going down in what’s likely going to be the longest Avengers movie yet. Strap in, because it’s going to be a bumpy ride.